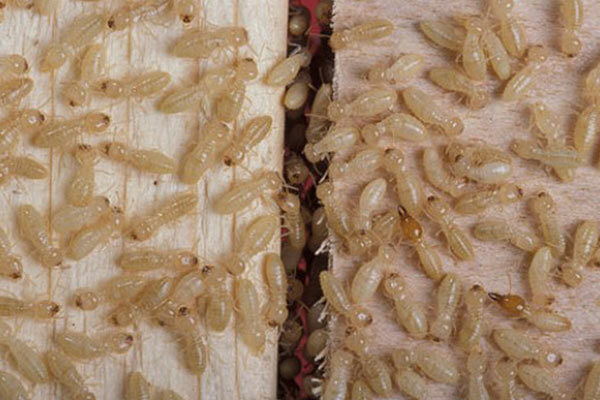 The drywood termite thrives on – you guessed it – dry wood. These terrible creatures flock to dry wood food sources where they devour wood and proliferate. Not to be confused with carpenter ants, drywood termites have rounded bodies with body segments that are similar in diameter. Upon seeing a drywood termite infestation, it’s important to exterminate the termites right away to avoid damage to your home. Drywood termites have a distinctive home structure, climate, and food source in comparison with other insect species. Drywood termites burrow into wood and build a home. Now, when drywood termites burrow into wood and build their home, it’s likely that their home is your home. There, they’ll slowly chip away into the wooden structure of your home, and that can leave your home on the brink of crumbling. Since drywood termites survive by consuming dry wood, and our homes are generally composed of dry wood members, our homes are unfortunately ideal habitats for termites. Drywood termites thrive in warmer climates. Drywood termites rely on warmth to reproduce and function properly. They prefer shelter that maintains this warmth. Since drywood termites enjoy warm temperatures, and (unlike the subterranean termite) they do not rely on mud for their shelter, they can burrow and build shelters throughout a wall structure, including within an attic. For this reason, California homes are especially prone to drywood termite infestation and damage. As we’ve mentioned, drywood termites prefer dry timber. Unlike other termite species, the drywood termite needs very little moisture to thrive. Thus, these termites can thrive even during dry seasons. Drywood termites consume wood and other cellulose food sources. 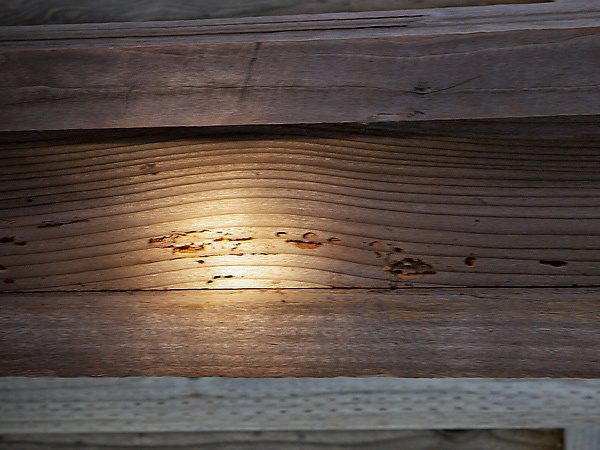 Drywood termites are usually detected after they’ve already caused a bit of damage to a home. Most homeowners notice tunneling through wood members in the structure of the home after termites have already built a formidable colony. It’s crucial to exterminate these termites as soon as you’ve noticed their presence. You may also note swarming termites. Flying termites appear after the mating cycle, and these termites seek to build a new colony. Again, treat termites as soon as you see them. Why Choose Hi-Tech Termite Control? Hi-Tech Termite Control offers a variety of solutions for termite infestations. Among traditional termite extermination solutions, we also offer microwave treatments – an alternative treatment that’s far less invasive than other extermination methods. 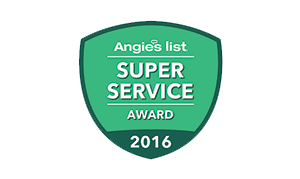 With microwave termite treatments, we’ll locate your termite colony, and treat the colony at the source. 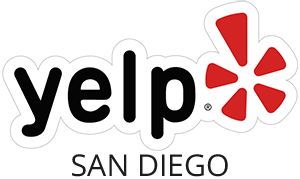 You can learn more about our microwave termite treatments here! 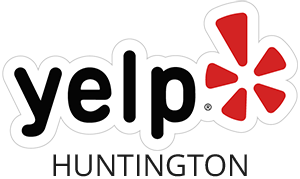 We also offer tenting and termite fumigation services if you have a termite population that’s completely out of control. Tenting may be your only option if termites have spread to many areas in your home or building. Can’t decide on the right treatment for your situation? Don’t sweat. We can provide termite inspection services, and then we’ll work with you to formulate a plan to fit your unique situation. Get in touch with us to learn more!